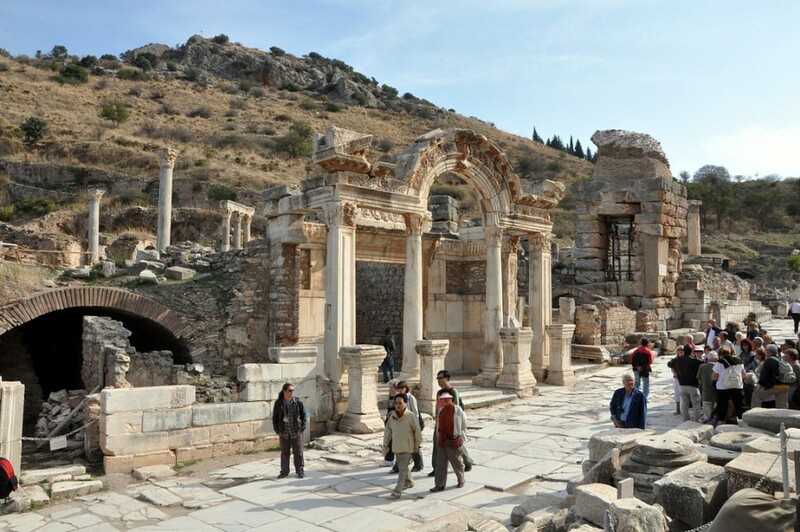 Skip underwhelming House of Mary and spend the day in ancient Ephesus! 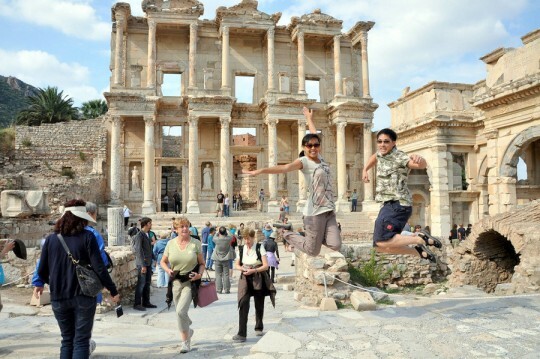 Ephesus is a major tourist attraction in Turkey and is one of the top destinations along the Mediterranean. And it’s obvious why. It’s the most well- preserved historical sites we’ve ever visited. When you’re cruising, it’s hard to find decent information on how or how much it will cost you to get to and from Ephesus. I myself searched the web for weeks to get information on whether cabbing was even a good option. 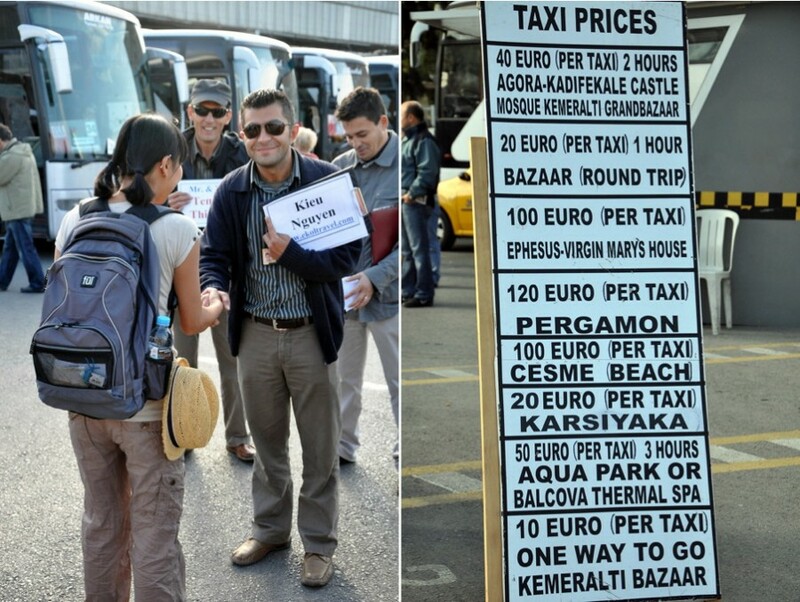 In the end, it was easier to just book our own tour with Nur & Ekol. 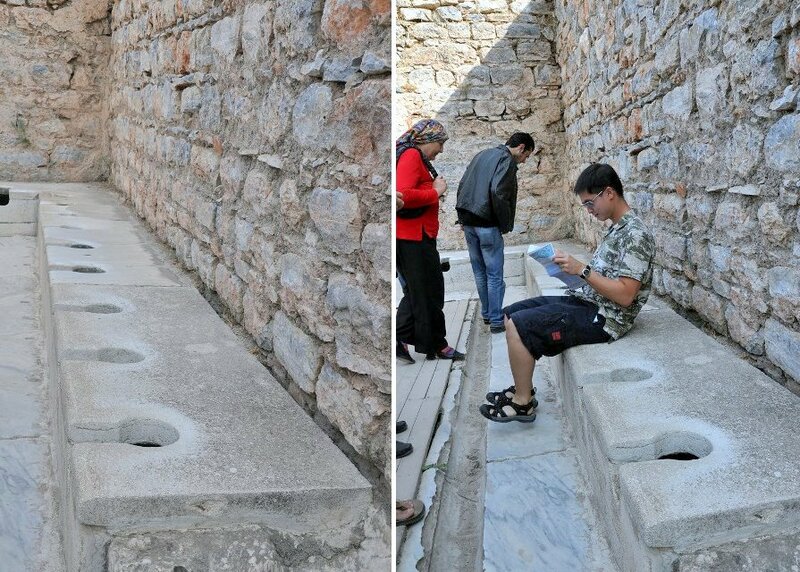 Plus — on a visit to Ephesus — you’ll want a guide if not to tell you the dense history behind the rebels then to at least point out a few things you might have missed if you’re on your own. 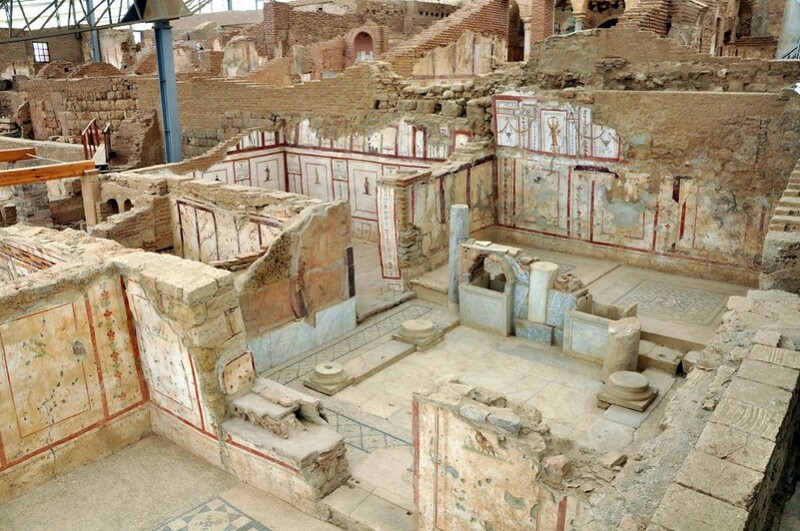 In the Roman period, Ephesus was the second largest city in the Roman Empire, right behind Rome. 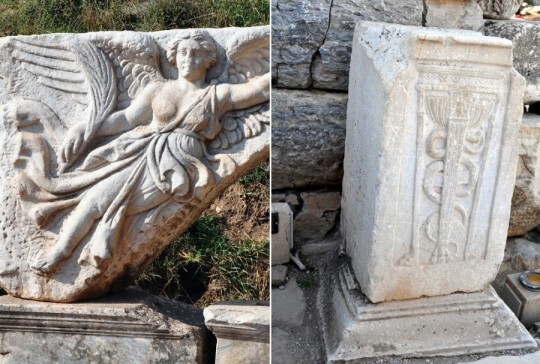 Goddess Nike. Can you spot the swoosh? Ever wondered about the origin of the symbol of Medicine? Well wonder no more. During the Roman Empire, there was a very large school of Medicine in Ephesus. Bet you didn’t think it was that old. Ephesus was the main hub — trade center of the ancient world. is one of the Seven Wonders of the Ancient World. 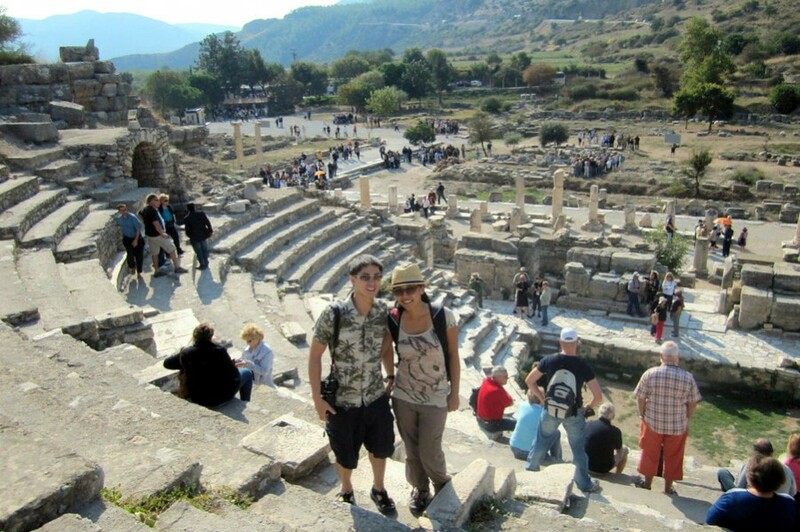 Our tour included admission to Ephesus. The Terrace Houses is an additional fee and optional. I recommend it if you want to get a glimpse of the life of the rich and famous. However, our guide did not go in with us. We wanted to hear the history behind the houses so at times, we hovered by another tour group just enough to get the info we wanted to hear. 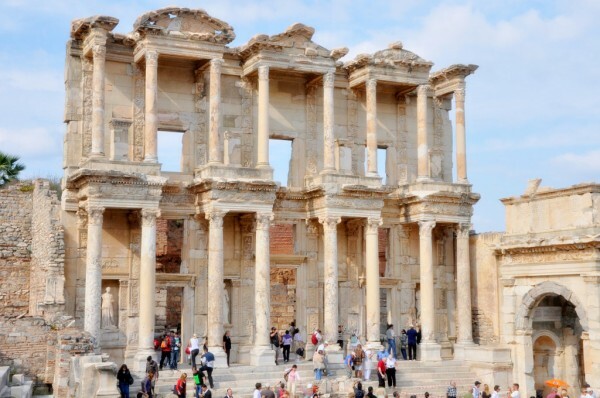 Pictures just don’t do the Library of Celsus justice. Built to house 12,000 books and scrolls. 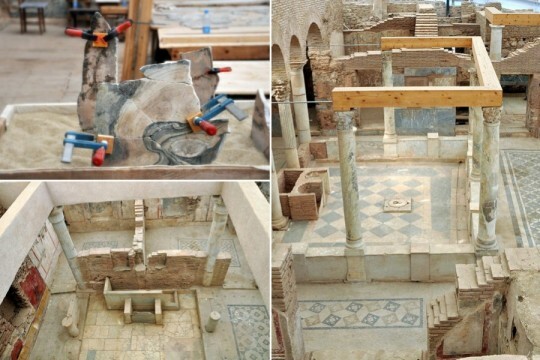 Unfortunately, they were all destroyed by fire in an earthquake. And even though we were looking at a restored replica of the facade of the building, nevertheless it’s still an impressive structure. 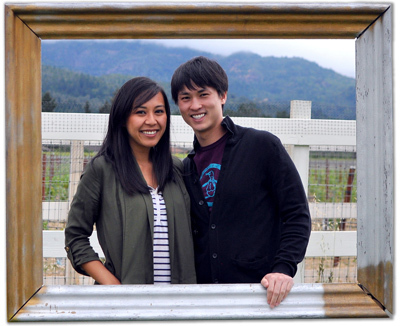 One of my favorite spots in the city and perfect for jumpin’ photos! 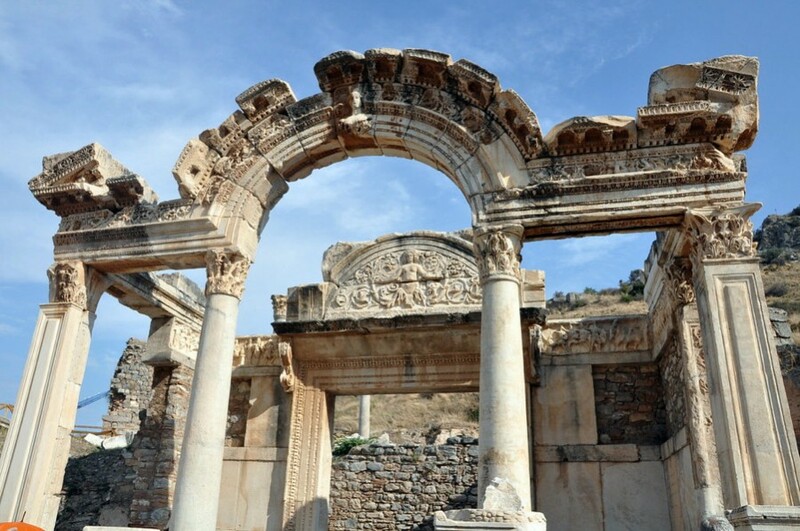 Ephesus is worthy of a day trip on any visit to Turkey. It sure beats waiting around for a time machine! Have you been? 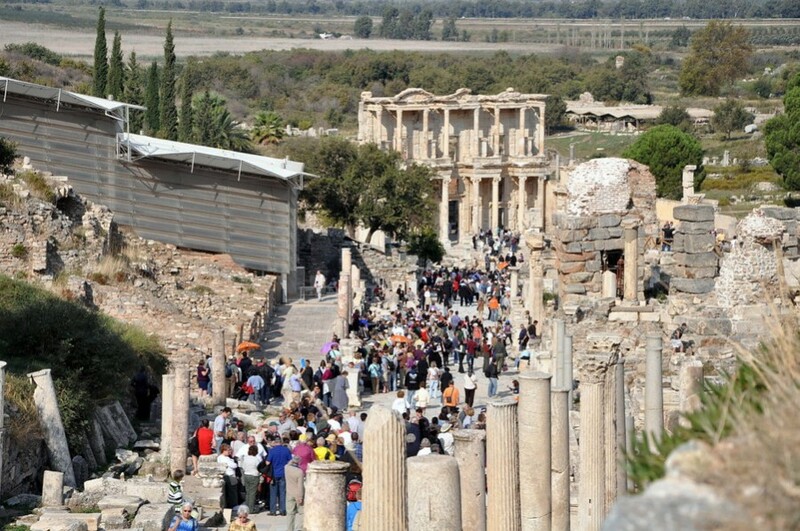 What’s your favorite part about Ephesus? Ephesus is just perferct place – open air museum with so well preserved remains! The article is well written and you did a great job so i would like to ask your permission to share it at our FB page https://www.facebook.com/vostokturkey. Thank you in advance! By teh way our main page is http://www.traveltofethiye.co.uk! We followed you on twitter as vostokturkey!